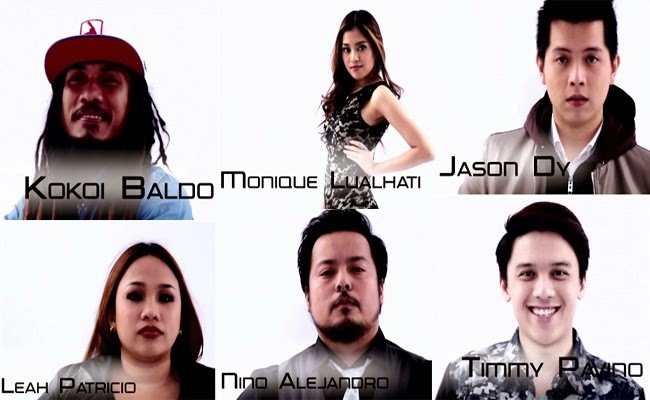 The Voice of the Philippines Season 2 second half of Top 8 had finally been revealed on February15, 2015 and Semi-Finals is well on its way towards the most awaited finals. The stage of Resorts World Manila had been filled with emotional and heartfelt performances of Team Lea and Team Sarah’s performances. For Team Sarah, Jasons Dy gets into the semi finals with 44.67 percent of total votes. Jason jump in jot as the audience cheer for him. With 50.8 percent of total votes for Team Lea, Timmy Pavino gets into the next round safely. Sarah admitted that her decision had been really hard. It took her some time to choose but in the end, with tears in her eyes and overwhelmed with emotions, she saved Monique Lualhati. Kokoi Baldo is out of the competition. Lea held Sarah as her decision had been revealed. Lea shared that she is in the similar position with Sarah. Her artist had the same intensity of fighting spirit. Being out of the competition ends their lives as a competitor but starts their lives as a true artist in the industry. Leah Patricio had been saved through their coach’s decision. On February 14, the half of Top 8 had been revealed. Team Bamboo’s Rence Rapanot (‘Kamusta Na’)and Rita Martinez (‘Paglisan’ ) together with Team Apl’s Daryl Ong (‘Rolling in the Deep’) and Alisah Bonaobra (Let It Go) were the first half to get the secured spot on the next round. The second half of Top 8 revealed on february 15, were team Sarah’s Jason Dy who sung ‘Kahit Kailan’ with Monique Lualhati who made a rendition of ‘Butterfly’ and Team Lea’s Timmy Pavino who sung ‘Story of my Life’ with Leah Patricio who performed ‘Because You Love Me’.